The word occult means to hide. Therefore, the word occultation in an astronomical sense means the hiding of an astronomical object by another. 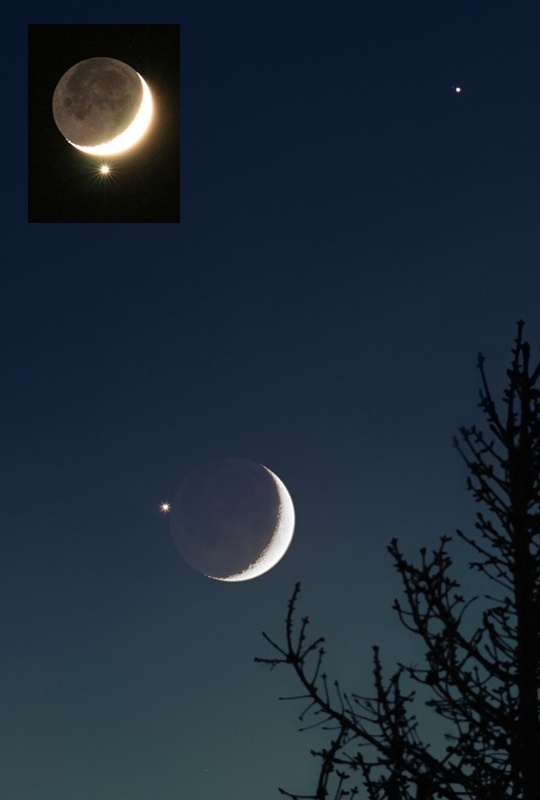 The most common type of occultations are lunar occultations where the Moon appears to hide a background star or even a planet. However, stars can also be hidden by other objects in the solar system including planets, minor planets (dwarf planets and asteroids) and satellites. In the area of occultations, observers accurately time and record the events of disappearance and reappearance of a background object or even a graze where an object appears to pass extremely close to another. These observations can be logged with groups including the Occultation Section of the Society for Popular Astronomy (SPA), International Occultation Timing Association (IOTA) and the European Asteroidal Occultation Network. If you wish to know more about occultations, please speak to society members Mell Jeffery FRAS or John Harper FRAS who are the Section Director and Assistant Director of the Occultation Section of the Society for Popular Astronomy respectively. Details of lunar occultations visible from Scarborough can be found on the lunar occultation page.